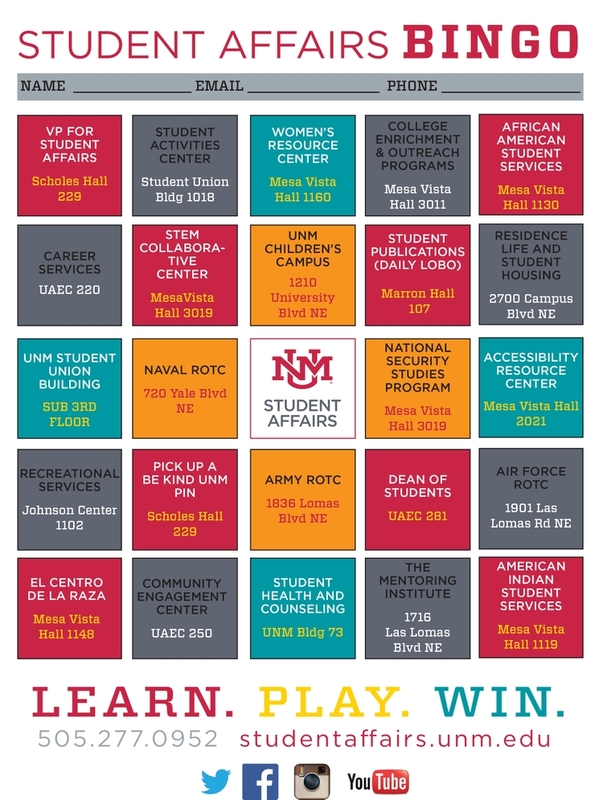 Once again, The University of New Mexico’s Division of Student Affairs hosts the “We Are Student Affairs” Bingo game this summer to help familiarize students with the programs and services in the Division. The challenge, which began May 29 and continues through Aug. 15, encourages students to visit the physical locations of the various departments, programs and services offered throughout the Division. The game board is filled with the names and address for each department in Student Affairs. Students have the entire summer to visit each department, obtain signatures and get to know the various areas. Any UNM student is eligible to play and game boards will be given to new students during New Student Orientation and are also available via download on the Student Affairs website. A small number of game boards will also available in each of the Student Affairs departments. Students have a chance to win some great prizes including a month of free parking on campus, two guest coach passes to an upcoming Lobo football game or UNM swag. Additionally, every participant who completes a regular across, down or diagonal bingo and submits it to the Division of Students wins UNM swag. “We hope that this challenge will help students learn more about what our Division does and have a little fun doing it,” Torres says. The grand prize drawing will be held on Friday, Aug. 17. Winners will be announced on the Student Affairs FB page. 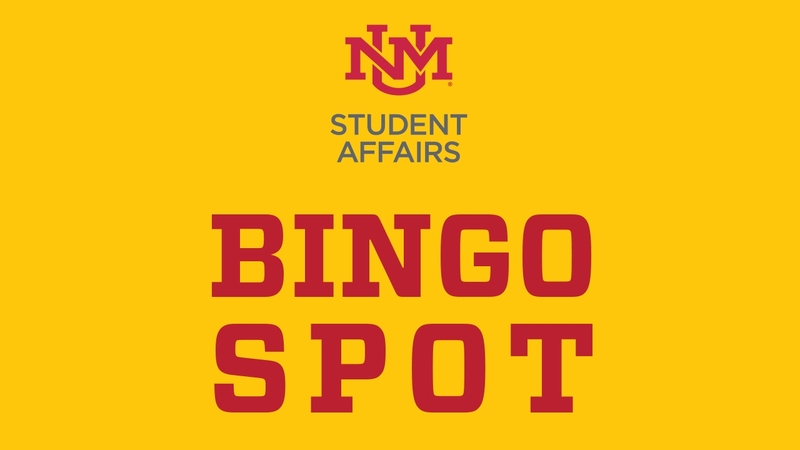 For questions or more information regarding the bingo game, contact Dorene DiNaro at ddinaro@unm.edu or visit the Student Affairs website.